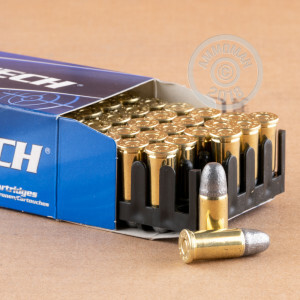 This light kicking target ammunition for .38 Special revolvers is ideal for cowboy action shooting and other events. These cartridges fire a 125 grain lead round nose bullet at a low muzzle velocity of 686 feet per second. Their distinguishing feature is a shorter case length that maintains compatibility with .38 Special revolvers while facilitating rapid reloads. 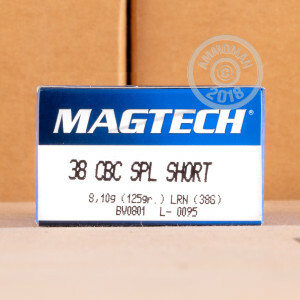 Magtech is a brand of CBC, the leading ammo manufacturer in Brazil. 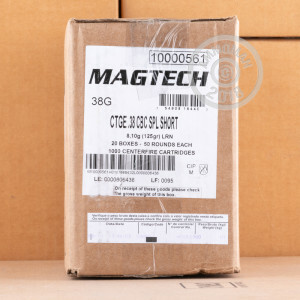 CBC produces all of the components for Magtech ammo (including non-corrosive primers and brass cases) to ensure maximum quality control. Spend more than $99 in a single order at AmmoMan.com to qualify for FREE shipping! Good stuff but expensive. Hard to find.